Live2Lead: 4 Takeaways From John C. Maxwell, Patrick Lencioni and More! 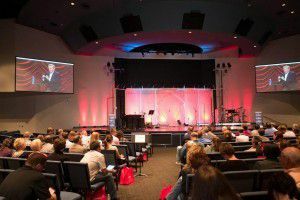 Live2Lead, John Maxwell’s annual leadership development conference, took place earlier this month. What a successful event! Thank you for all who attended! At our Des Moines area simulcast, we had over 300 CEO’s, business owners, and those aspiring to be stronger leaders in attendance. Over 50 companies were represented. Patrick Lencioni: “Organizational Health is the last remaining, untapped competitive advantage.” Organizational Health can be obtained through a cohesive leadership team, establishing clarity, over-communicating clarity, and reinforcing clarity. To maximize success, your organization must be smart AND healthy. In the age of the Internet, every smart company can (and will) learn and use the best practices in every discipline of business – strategy, technology, finance, marketing, etc. A healthy organization has eliminated politics and confusion from its environment, and through clarity and communication it is able to tap into every bit of intelligence and talent it has. By creating a cohesive leadership team, you will create the open and honest team built on trust and accountability. Establish your company’s core values, over-communicate them to your organization through repetition and simplicity. Reinforce clarity to ensure consistency. Significance in life comes when you live deliberately, consistently and willfully. You can choose to live a life that matters, but it involves the mindset of living your life intentionally. Instead of reacting to what life throws your way, think intentionally to prepare yourself. There is a big difference in having good intentions and being intentional. To create a lasting legacy, make a point to add value to other peoples’ lives. Put your strengths and passion along side the needs of others. The life we live often keeps us from the life we want to live, intentional living can get us where we want to be. Valorie Burton: “Resilience is at the core of success.” When you are resilient over and over again, you bounce back. Happiness is a success strategy. In life, you can be an egg or a tennis ball – one breaks when it is thrown against a wall, the other bounces back. When walking through the fire of life, don’t let it consume you. Instead direct your thoughts in a positive and encouraging manor when faced with challenges, don’t let your thoughts direct you. You’ll come across times when your biggest fear is standing in the way of what you want the most. Acknowledge your fears, talk back to them. Optimism is necessary for any leader. Maintain a growth mindset, knowing where you are today is just a starting point. When explaining your successes and failures, stay positive. If you can’t stay happy waiting for what you want, you won’t be happy when you get it. Happiness causes success, not the other way around! Kevin Turner: “Listen, learn, then lead.” Implementing an open-ear policy rather than an open-door policy in the workplace is important. Listening starts by wanting to hear. Have the right environment for contribution within your workplace. Meet with people who are not your direct reports, with the sole intention of hearing them. After listening to their feedback, don’t give them the easy answer, or throw them the company line. Rather, say “I’m going to take some time and think about this.” Follow through with a response or a solution once you have taken time to weigh your options.